Lakefront Estate, 8 bedrooms, 5 baths on a beautiful .57 acre property. Schools are McKitrick, Martinez and Steinbrenner. 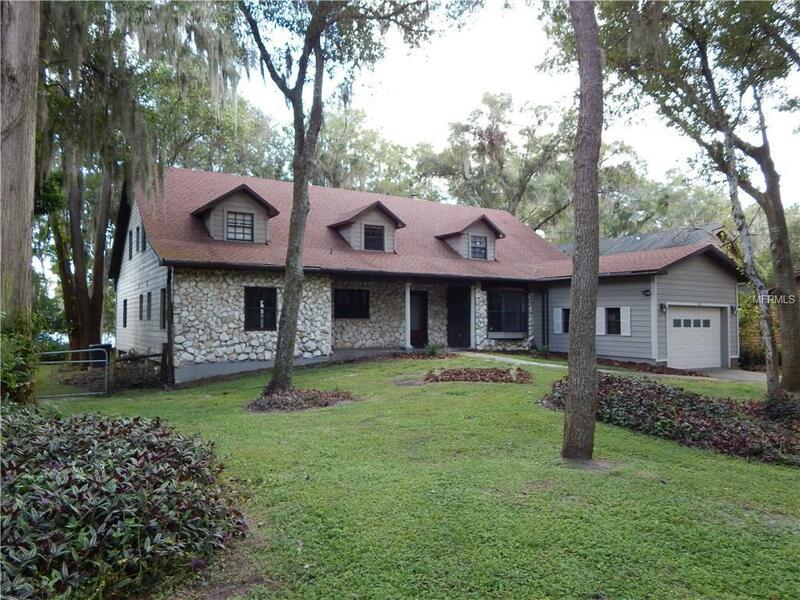 This beautiful custom Lutz home offers 4124 sqft, 2 master suites and a 3rd bedrm downstairs, 3 full baths downstairs, 5 bedrms and 2 full baths upstairs, office/den/library, upstairs loft, fenced yard, large inside utility, screened back porch, covered front porch and NEW DOCK on the lake. Other features include: NEW flooring in all bedoms, stairs and loft 2017, NEW interior paint bedrms 2017, master bath 2017, NEW ROOF 2014, 4 baths have been remodeled, very private cul de sac location, custom travertine floors, nice large mature trees for shade, completely remodeled kitchen 2010, 2 AC units, downstairs unit new 2015, new well pump, new porch screening, wood burning fireplace in family room, alarm system, water softener/iron breaker system, 1 car oversized garage and 1 car carport. Beautiful new eat in kitchen with granite counters, ss appliances, tile backsplash and new cabinets. The 19x12 kitchen is open to the 20x12 dining rm which has a gorgeous view of the lake via the bay window. Spacious 20x17 family room with a double set of sliders to the back porch, view of the lake and cathedral ceilings. Home is on well and septic. No HOA. Great location close to Dale Mabry/Veterans Expressway with easy access to Tampa. The lake is approximately 45 acres, motor boats allowed and great for fishing. One year home warranty. Browns Lake is a private lake, no public access.